Australia’s firsttwo locally-based F-35A Lightning II fighter aircraft arrived on home soil onDecember 9 at Royal Australian Air Force (RAAF) Williamtown, signalling thedawn of a new era for the nation’s defence capabilities. Lockheed Martin designed and built Australia’s fleet of F-35s and also serves as the global industry lead for F-35 sustainment. «The arrival of the first F-35 aircraft to be permanently based in Australia is a historic occasion and we are proud of our role as the 5th Generation design pioneer and F-35 original equipment manufacturer», said Chief Executive of Lockheed Martin Australia, Vince Di Pietro AM, CSC. «We congratulatethe RAAF, the ADF and all of our Australian industry partners who have workedto make this achievement a reality». «Flown by Australian pilots, maintained by Australian maintenance personnel and containing many best-of-breed advanced components made right here in Australia, all Australians have every reason to be proud of this achievement», Di Pietro said. «Australia plays a significant role in the program with a suite of local industrial technology and know-how behind the hundreds of F-35s flying today, as well as the thousands of F-35s that will be produced in the future». 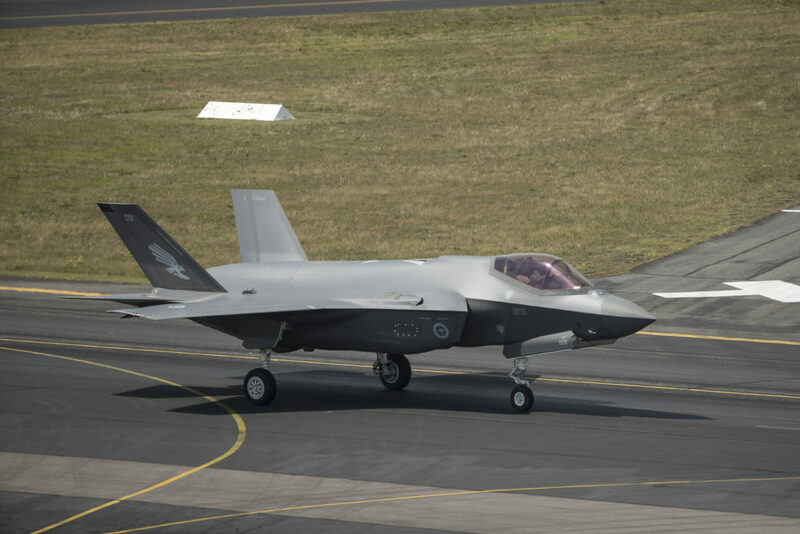 Australia’s hascommitted to 72 F-35As, which will be flown by Australian pilots, andmaintained by a joint team of Australian maintenance personnel and industrypartners including Lockheed Martin Australia. 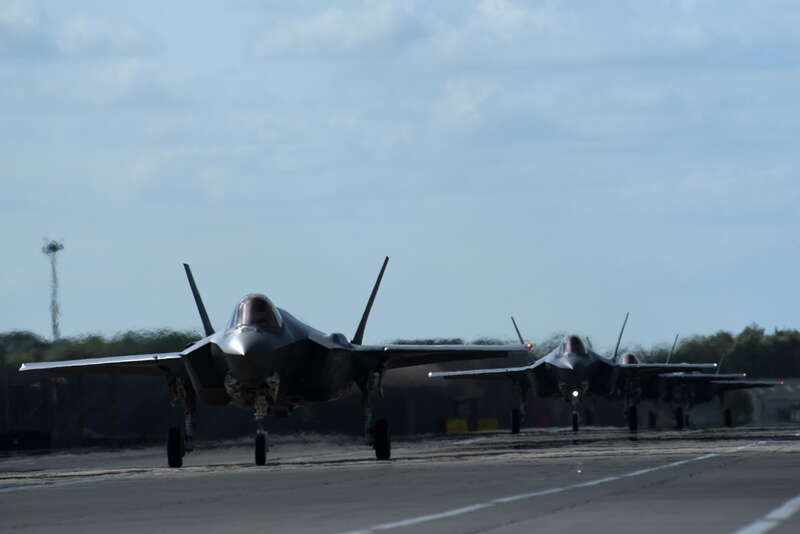 Australia has received 10 aircraft to date, the remainder of which are stationed at Luke Air Force Base inArizona where they are part of the international cooperative F-35 trainingoperations. The Air Force has selected Truax Field Air National Guard Base (ANGB), Wisconsin and Dannelly Field, Alabama as the preferred locations for the next two Air National Guard F-35A bases. «Selecting Truax Field and Dannelly Field will increase Air National Guard F-35A units providing 5th Generation airpower around the world», said Secretary of the Air Force Heather Wilson. «As F-35As arrive at these locations, we will use the existing aircraft at these fields to replace the aging F-16s at other Air National Guard units». «Putting F-35s at these two Air National Guard bases continues our transition into the next generation of air superiority», said Air Force Chief of Staff General David L. Goldfein. «It helps ensure we can always offer the Commander-in-Chief air power options and be ready to penetrate any enemy air defenses, hold any target at risk and go when and where the president tells us to go. We’re the options folks. The F-35 is critical to the family of systems we need to accomplish this mission for the nation now and in the future». The Air Force also evaluated Gowen Field ANGB, Idaho, Selfridge ANGB, Michigan and Jacksonville Air Guard Station (AGS), Florida in this round of decisions. Those bases were reasonable alternatives, but not preferred. Previously, the secretary of the Air Force selected three active duty operational locations and one Air National Guard location – Hill Air Force Base (AFB), Utah, Royal Air Force (RAF) Lakenheath, England, Eielson AFB, Alaska and Burlington AGS, Vermont. Additionally, the Air Force announced Naval Air Station Joint Reserve Base (NAS JRB) Fort Worth, Texas as the preferred alternative for the first Air Force Reserve base. On November 3rd, three Norwegian F-35A Lightning II aircraft flew from Fort Worth, Texas and landed at Ørland Air Base, Norway. «Receiving the first three aircraft is a major milestone for Norway. On November 10th, Norway will celebrate First Aircraft Arrival of the first three F-35s on Norwegian soil. 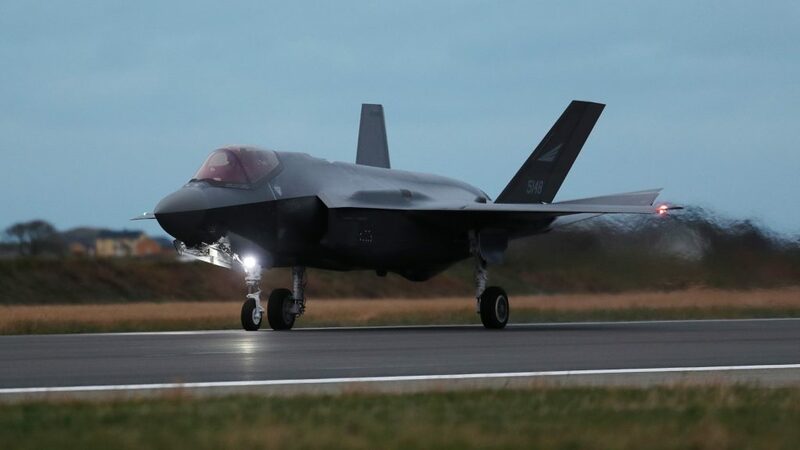 Achieving this milestone is a major step towards increased operational capability for the future», says Major General Morten Klever, Program Director for the F-35 program in Norway’s Ministry of Defence. «This is an historic event. The arrival of the first F-35 in Norway at this time shows that we have reached the timeline set for the acquisition. The program delivers on all key criteria: time, cost and performance. Today we are both proud and happy. The Royal Norwegian Air Force is looking forward to starting their training with the F-35», says Major General Klever. The three aircraft, the first to be delivered to Norway, took off from Fort Worth, Texas at 06.35 AM Norwegian time November 3rd and landed at 03.57 PM the same day at Ørland Air Base. From 2018, Norway will receive six aircraft annually up until, and including, 2024. 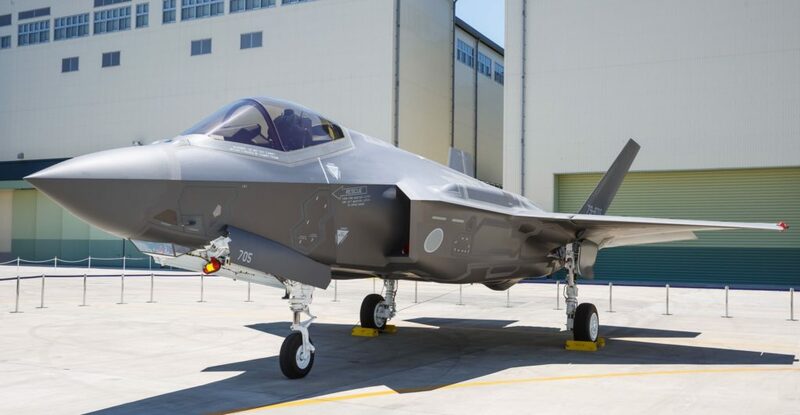 The first Japanese-assembled F-35A was unveiled at the Mitsubishi Heavy Industries (MHI) Komaki South F-35 Final Assembly and Check Out (FACO) facility here on June 5, 2017. The Japan F-35 FACO is operated by MHI with technical assistance from Lockheed Martin and oversight from the U.S. Government. Kenji Wakamiya, senior vice minister of defense; General Yoshiyuki Sugiyama, Japan Air Self Defense Force (JASDF) chief of staff; Lieutenant General Jerry Martinez, commander, U.S. Forces Japan and 5th Air Force; Vice Admiral Mat Winter, F-35 Program Executive Officer; Vice Admiral Dave Lewis, Defense Contract Management Agency Director; Naohiko Abe, MHI’s senior vice president and Integrated Defense & Space Systems president, and Orlando Carvalho, executive vice president of Lockheed Martin Aeronautics, attended the milestone event. «Seeing the first Japanese built F-35A is a testament to the global nature of this program», said Vice Admiral Mat Winter, F-35 Program Executive Officer. «This state of the art assembly facility, staffed with a talented and motivated workforce, enables us to leverage industry’s unique talents and technological know-how to produce the world’s best multi-role fighter. The F-35 will enhance the strength of our security alliances and reinforce long-established bonds with our allies through training opportunities, exercises, and military-to-military events». «Building upon our enduring relationship with Japanese industry, we are fully committed to our F-35 production partnership with MHI and our support to the Japan Ministry of Defense», Carvalho said. «The skilled workers who achieved this milestone know firsthand the F-35’s capability and how this aircraft will only strengthen the U.S.-Japan Security Alliance, thereby building upon Japan’s strategic vision to ensure the Alliance remains strong for decades to come». The F-35 Lightning II is a next-generation fighter, combining advanced stealth with fighter speed and agility, advanced mission systems, fully fused sensor information, network-enabled operations and cutting-edge sustainment. More than 220 operational F-35s have been built and delivered worldwide and they have collectively flown more than 95,000 flight hours. Combat-ready F-35A Lightning II multi-role fighter aircraft arrived April 15, 2017, at Royal Air Force Lakenheath, England, demonstrating U.S. commitment to NATO allies and European territorial integrity. «The forward presence of F-35s support my priority of having ready and postured forces here in Europe», said Army General Curtis M. Scaparrotti, the U.S. European Command commander and NATO’s supreme allied commander for Europe. «These aircraft, plus more importantly, the men and women who operate them, fortifies the capacity and capability of our NATO alliance». «This is an incredible opportunity for (U.S. Air Forces in Europe) Airmen and our NATO allies to host this first overseas training deployment of the F-35A aircraft», said Air Force General Tod D. Wolters, commander of USAFE and Air Forces Africa. «As we and our joint F-35 partners bring this aircraft into our inventories, it’s important that we train together to integrate into a seamless team capable of defending the sovereignty of allied nations». The deployment was supported by the Air Mobility Command. Multiple refueling aircraft from four different bases provided more than 400,000 pounds/181,437 kg of fuel during the «tanker bridge» from the U.S. to Europe. Additionally, C-17 Globemaster III and C-5 Galaxy aircraft transported maintenance equipment and personnel to England. The F-35 Lightning II program hit another milestone November 28 with the arrival of the first foreign military sales F-35A here. 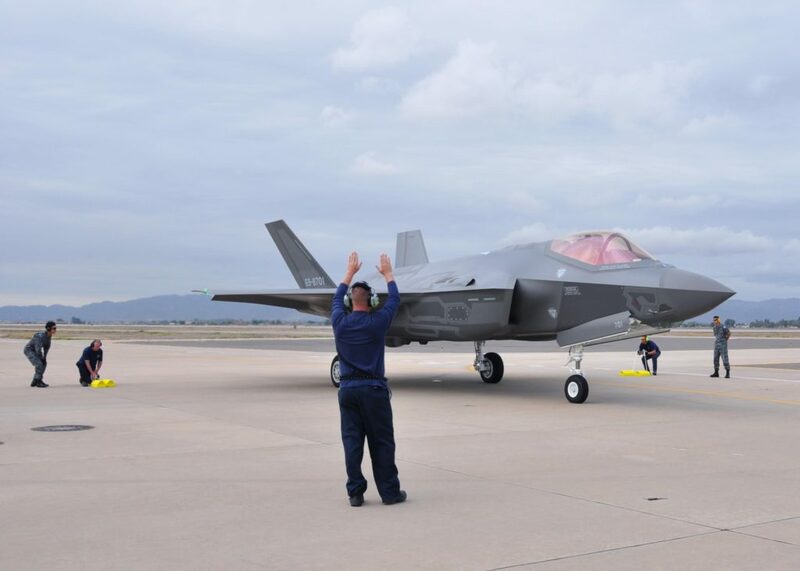 The arrival marked the next step for the international F-35A Lightning II training program as Japan took ownership of the first FMS aircraft to arrive at Luke Air Force Base (AFB). «Today is a great day for the U.S. Air Force Reserve Command, Luke AFB, the 944th Fighter Wing, and the Japanese Air Self-Defense (Force)», said Colonel Kurt J. Gallegos, the 944th FW commander. «We have a great team of Airmen who have worked hard to set up an outstanding training program and are ready to train our FMS counterparts». The aircraft was welcomed by a joint delegation from the 944th and 56th Fighter Wings, Lockheed Martin, and Japanese staff. «Today I am thrilled for the Japan Air Self-Defense Force and (Luke AFB)», said Lieutenant Colonel Sean Holahan, the commander of Detachment 2, 944th Operations Group. «The arrival of Japan’s first F-35A marks another important milestone in the steadfast relationship between our two nations, and the beginning of training for an elite cadre of JASDF fighter pilots and maintainers. We put an incredible amount of thought and effort into building the world’s first F-35 foreign military sales training program from the ground up. To see Japan’s first jet on our flightline, surrounded by the men and women who have made this mission possible, is humbling». The arrival of the first FMS aircraft is the culmination of years of planning and hard work. «The jet arrival marks the beginning of a new and exciting mission at Luke AFB to train our allies to fly the F-35A», explained Lieutenant Colonel Joe Bemis, the executive officer and resource advisor for Detachment 2, 944th OG. «We have been preparing for this program for years. We have remodeled buildings, built a huge team of professional pilots, maintainers, and administration staff, and created specialized syllabus. We are hopeful that this mission will strengthen relationships between the US and nations that participate in the training». Over the next several years, Luke AFB will be training FMS pilots from Japan, Israel and South Korea along with partner nations including Australia, Italy, Norway, Turkey, Netherlands, Denmark and Canada. «This is such an important time in our wing’s history as we pick up the mission to train all FMS F-35 pilots», Gallegos said. «It’s been almost 10 years since our wing has seen aircraft on our flightline. It is an amazing feeling to look outside and see the F-35s out there and know that we are playing such an important and critical role as we build relationships that will enhance our future partnership». In addition to the Luke AFB is scheduled to have six fighter squadrons and 144 F-35s. Senior Japanese and U.S. government officials joined Lockheed Martin to celebrate the roll out of the first Japan Air Self Defense Force (JASDF) F-35A Lightning II, marking a major milestone in Japan’s enhanced national defense and strengthening the future of the U.S-Japan security alliance. The ceremony was attended by more than 400 guests from both governments, militaries and defense industries. 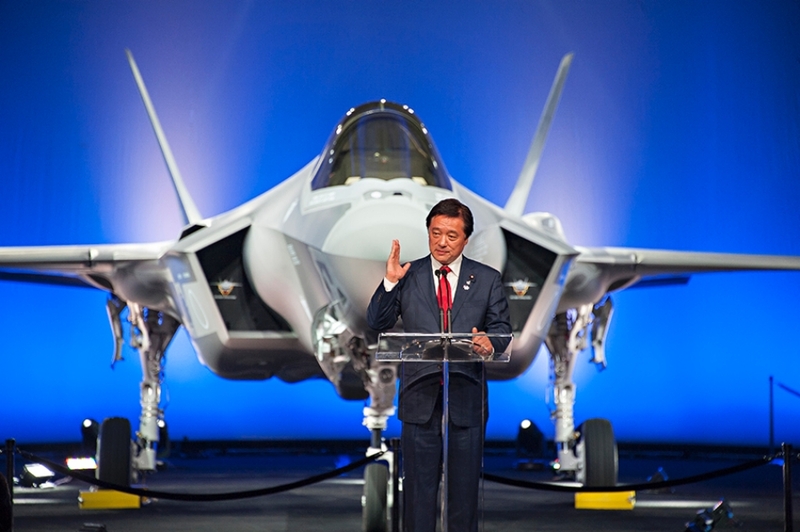 Kenji Wakamiya, Japan’s State Minister of Defense spoke at the event, saying, «With its low observability and network capability, the F-35 is the most advanced air system with cutting-edge capability as a multi-role fighter. As the security environment surrounding Japan has become increasingly severe, because of its excellence, it is very significant for the defense of Japan to commit to acquiring the F-35 year by year. Given that the United States Government has designated Japan as a regional depot in the Asia-Pacific area, introduction of F-35A to Japan is a perfect example, enhancing the Japan-US alliance». General Yoshiyuki Sugiyama, JASDF Chief of Air Staff, said, «The F-35A has remarkably advanced system. This highly sophisticated 5th generation fighter will bring a great development to air operations as a game changer. In integration with current JASDF assets, it surely promises to enormously contribute to not only the benefit of our national defense and but also regional stability». Other distinguished guests attending included: Dr. Hideaki Watanabe, commissioner of Japan’s Acquisition, Technology and Logistics Agency, Frank Kendall, undersecretary of defense for Acquisition, Technology and Logistics, Gen. Terrence O’Shaughnessy, commander of U.S. Pacific Air Forces, and Marillyn Hewson, Lockheed Martin chairman, president and CEO. 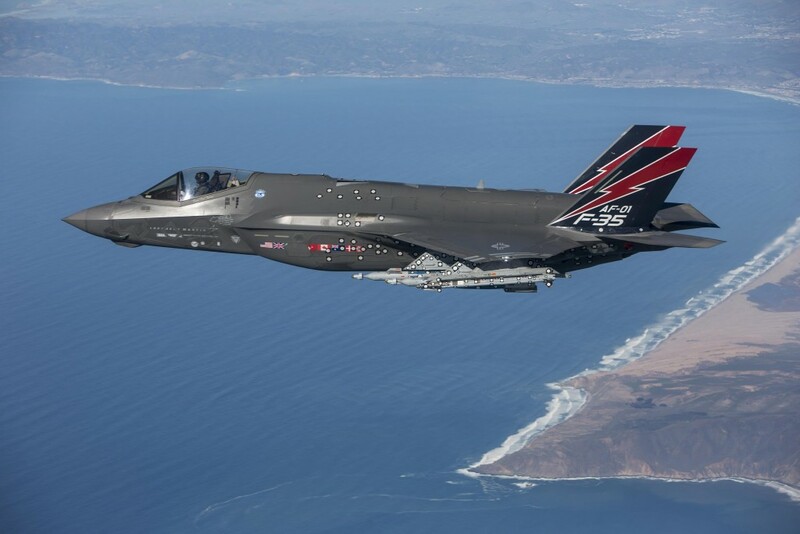 «The men and women of Lockheed Martin are honored to bring the exceptional capability of the F-35A to our partners and friends in Japan», said Hewson. «The security alliance between Japan and the United States has been a cornerstone of peace and prosperity in the Asia-Pacific region for generations, and we are proud to continue that legacy of cooperation with the rollout of the first F-35A to the Japan Ministry of Defense and the Japan Air Self Defense Force today». Japan’s F-35 program includes 42 F-35A Conventional Take Off and Landing aircraft, acquired through the U.S. government’s Foreign Military Sales program. The first four aircraft are built in Fort Worth and the remaining 38 aircraft will be built at the Mitsubishi Heavy Industries Final Assembly & Check-Out facility in Nagoya, Japan, where aircraft assembly is underway. Maintenance training for the first JASDF F-35A technicians is underway at Eglin AFB, Florida, and the first JASDF F-35A pilots are scheduled to begin training at Luke AFB, Arizona, in November. Three distinct variants of the F-35 will replace the F-16 Fighting Falcon and A/OA-10 Thunderbolt II for the U.S. Air Force, the F/A-18 Hornet for the U.S. Navy, the F/A-18 and AV-8B Harrier for the U.S. Marine Corps, and a wide variety of fighters for at least 11 other countries. Following the U.S. Marine Corps’ July 2015 F-35B Initial Operational Capability (IOC) ‘combat-ready’ declaration, the U.S. Air Force declared F-35A IOC on Aug. 2 and the U.S. Navy intends to attain F-35C IOC in 2018. More than 200 fleet-wide F-35s have flown almost 70,000 flight hours, to date. Japan’s first F-35A aircraft completed its maiden flight from Fort Worth on Aug. 24, piloted by Lockheed Martin’s F-35 test pilot Paul Hattendorf. 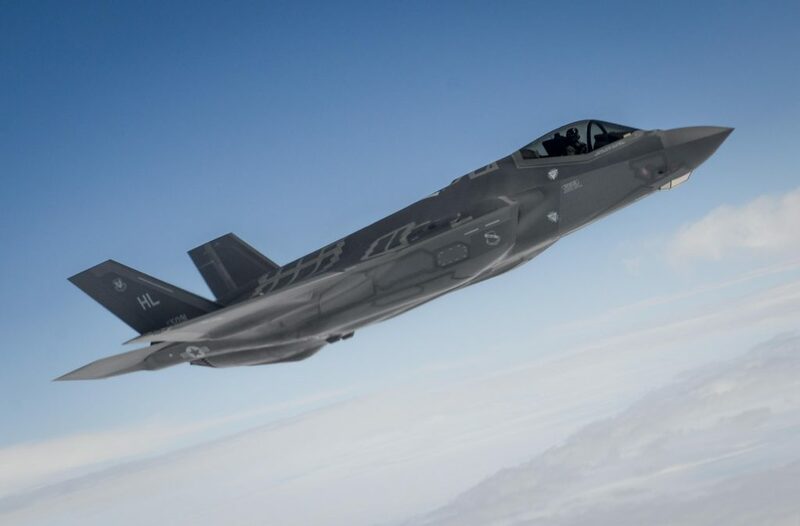 The F-35A Lightning II fifth-generation fighter aircraft was declared ‘combat ready’ by General Hawk Carlisle, the commander of Air Combat Command (ACC), August 2. Carlisle lauded the aircraft’s performance, noting that the aircraft had met all key criteria for reaching Initial Operational Capability (IOC): Airmen trained, manned and equipped to conduct basic close air support, interdiction and limited suppression/destruction of enemy air defenses in a contested environment with an operational squadron of 12-24 aircraft; the ability to deploy and conduct operational missions using program of record weapons and missions systems; and having all necessary logistics and operational elements in place. «I am proud to announce this powerful new weapons system has achieved initial combat capability», Carlisle said. «The F-35A will be the most dominant aircraft in our inventory because it can go where our legacy aircraft cannot and provide the capabilities our commanders need on the modern battlefield». The F-35A Lightning II is the latest addition to ACC’s fleet of deployable and fifth-generation aircraft. It provides air superiority, interdiction, suppression of enemy air defenses and close air support as well as great command and control functions through fused sensors, and it will provide pilots with unprecedented situational awareness of the battlespace that will be more extensive than any single-seat platform in existence. «Bringing the F-35A to initial combat readiness is a testament to our phenomenal Airmen and the outstanding support of the Joint Program Office and our enterprise partners. This important milestone for our fighter force ensures the United States, along with our allies and international partners, remains prepared to deter, deny, and defeat the full spectrum of growing threats around the globe», added Air Force Secretary Deborah Lee James. Chief of Staff of the Air Force General David L. Goldfein, said that dynamic new capability will benefit the joint warfighter. «The combat ready F-35A is the latest fifth-generation fighter aircraft in the Air Force’s inventory and provides our nation air dominance in any environment. 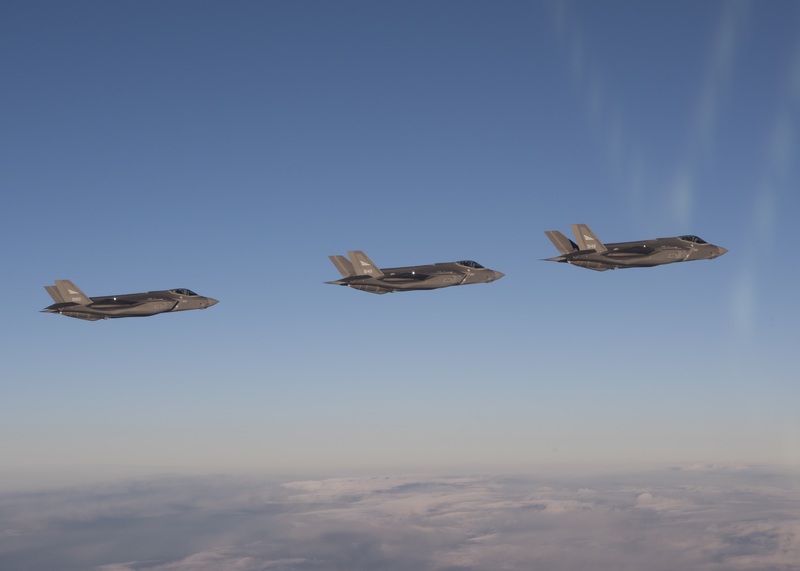 The F-35A brings an unprecedented combination of lethality, survivability, and adaptability to joint and combined operations, and is ready to deploy and strike well-defended targets anywhere on Earth», Goldfein said. «Today’s declaration of IOC is an important milestone on the road to achieving full warfighting capability for the F-35A». The 34th Fighter Squadron (FS) of the 388th Fighter Wing (FW), based at Hill Air Force Base (AFB), Utah, is the service’s first operational F-35A Lightning II squadron, having met all the established criteria for initial operational capability including a successful June deployment to Mountain Home AFB, Idaho, and a series of eight-aircraft sorties held in mid-July. 34th FS Airmen will fly and maintain the F-35A Lightning II alongside Air Force Reservists from Hill’s 419th Fighter Wing. «Our Airmen have worked tirelessly to make sure our aircraft are combat ready: meeting challenges head-on and completing all the required milestones», said Colonel David Lyons, the 388th Fighter Wing commander. «We’re very proud that the Air Force has declared us combat ready and we’re prepared to take this aircraft wherever it’s needed in support of our national defense». Those sentiments were echoed by Colonel David Smith, the 419th FW commander. «It’s an honor to fly and maintain the F-35 with our active-duty counterparts here at Hill», Smith said. «Our units were the first to fly combat-ready F-16s nearly 40 years ago, and we’re very proud to have made history once again in bringing the Air Force’s newest fighter jet to IOC». 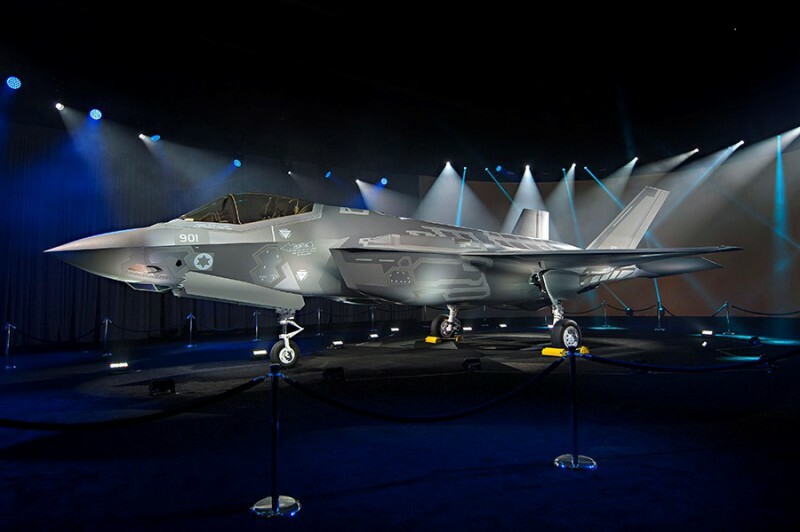 Israeli and U.S. government leaders joined Lockheed Martin to celebrate the rollout of the first Israeli Air Force F-35A Lightning II, marking a major production milestone for the future of Israel’s national defense. «Israel is proud to be the first country in the area to receive and operate it», said Avigdor Liberman, Israel’s Minister of Defense. «The F-35 is the best aircraft in the world and the choice of all our military leadership at its highest level. It is clear and obvious to us and to the entire region that the new F-35, the Adir, will create real deterrence and enhance our capabilities for a long time». 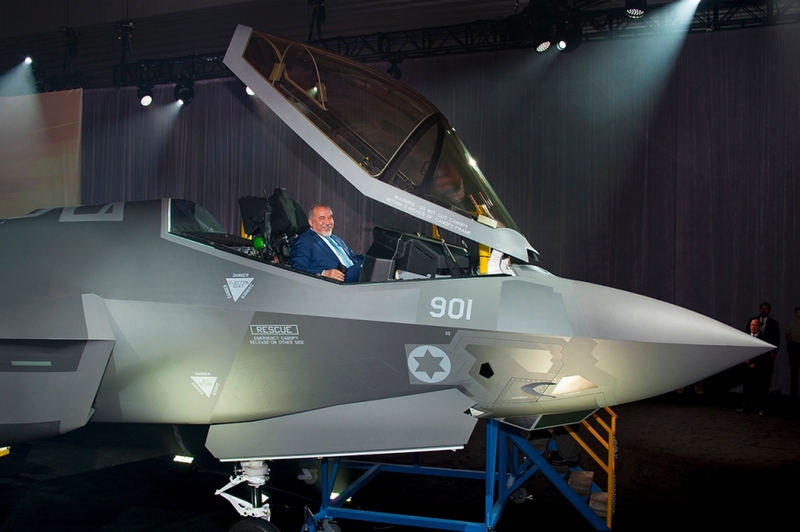 Brigadier General Tal Kelman, IAF Chief of Staff said, «As a pilot who has flown more than 30 years in a great variety of aircraft, I had the privilege of flying the F-35 simulator in Fort Worth and it was like holding the future in my hands. The unique combination of split-edge technology, lethality and the amazing man-machine interface will lead the world to the fifth generation». Joining the Minister at the ceremony, attended by more than 400 guests from government, the military and industry, were the Honorable U.S. Ambassador to Israel Daniel Shapiro; Minister Tzachi Hanegbi of Israel’s Office of the Prime Minister; Heidi Grant, Deputy Under Secretary of the U.S. Air Force for International Affairs; Lieutenant General Chris Bogdan, F-35 Program Executive Officer, Texas Governor Greg Abbott, and Texas State Congressman Craig Goldman. «We’re honored to partner with Israel and help strengthen the deep and lasting partnership between our two nations», said Marillyn Hewson, Lockheed Martin Chairman, President and CEO at the ceremony. «The F-35 will help Israel remain a beacon of strength and stability in the region and support a safe and secure homeland for generations to come». 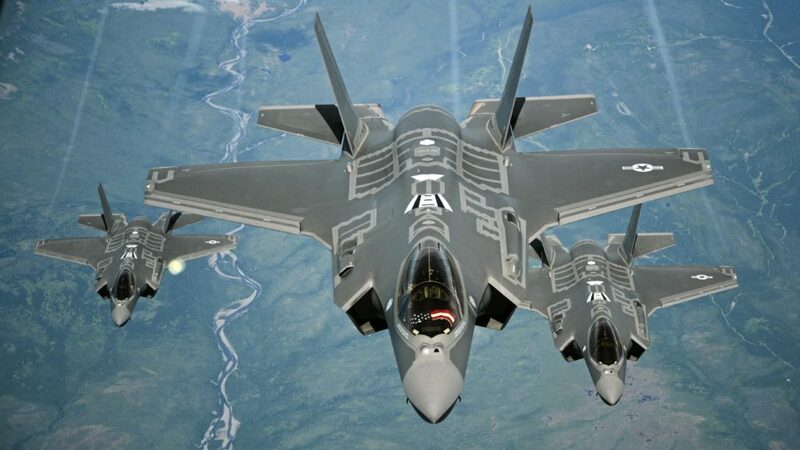 Israel’s F-35, called Adir – which means «Mighty One» in Hebrew – will be a significant addition to maintaining Israel’s qualitative military edge in the Middle East region, with its advanced capability to defeat emerging threats, including advanced missiles and heavily-defended airspace. The F-35 combines advanced low observable stealth technology with fighter speed and agility, fully fused sensor information, network-enabled operations and advanced sustainment support. Airmen from the 388th and 419th fighter wings dropped laser-guided bombs at the Utah Test and Training Range the week of February 25, marking the first time an F-35 Lightning II combat unit has deployed weapons from the F-35A. 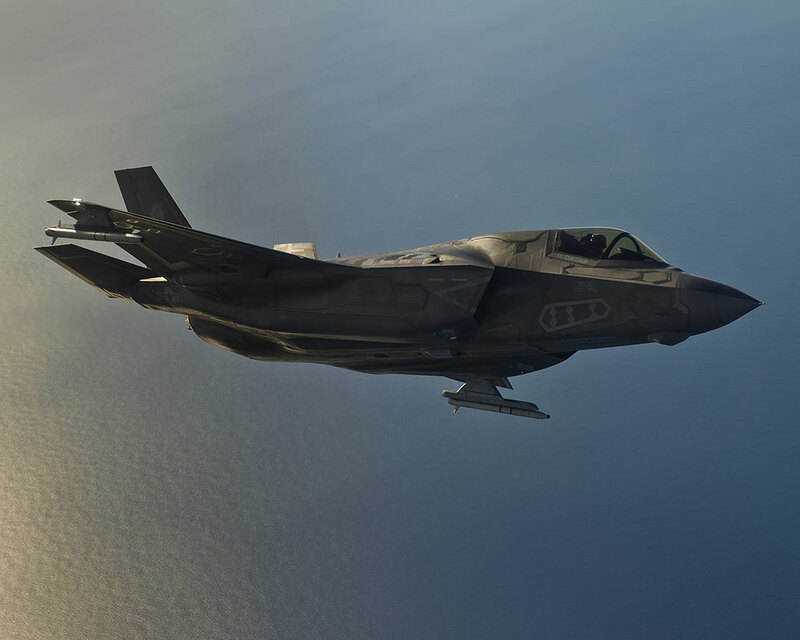 Lieutenant Colonel George Watkins, the 34th Fighter Squadron commander, said dropping weapons from the F-35 allows pilots to more fully engage the aircraft and confirm that everything works as planned. «This is significant because we’re building the confidence of our pilots by actually dropping something off the airplane instead of simulating weapon employment», Watkins said. 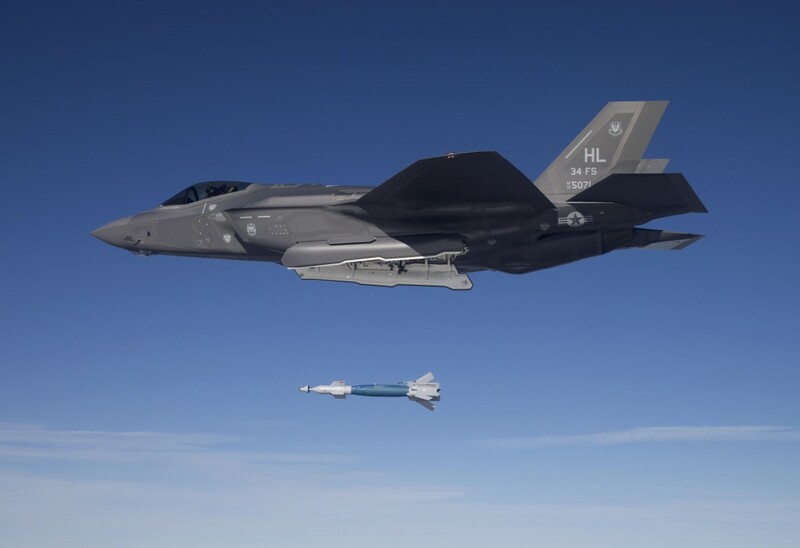 Air Force F-35s have dropped weapons in test environments, but this is the first time it’s been done on jets designed to deploy once the Air Force declares initial operational capability, which it plans to do between August and December. IOC will be announced when the Air Force deems the F-35 combat capable. Lieutenant Colonel Darrin Dronoff, the director of Hill’s F-35 Program Integration Office, said that while this achievement is a significant step toward Air Force IOC, the milestone goes beyond that mark. «The pilots and weapons loaders in the 388th and 419th fighter wings are perfecting their skills not only to prove aircraft capabilities, but they’ll also be the Airmen called upon to take the F-35 to combat, whenever that call may come», he said. Hill’s F-35 pilots will begin flying the F-35 in four-ship formations, which is the standard configuration flown in contested combat scenarios, as early as March.